After the Varmala ceremony, the Kanyadaan ritual takes place. 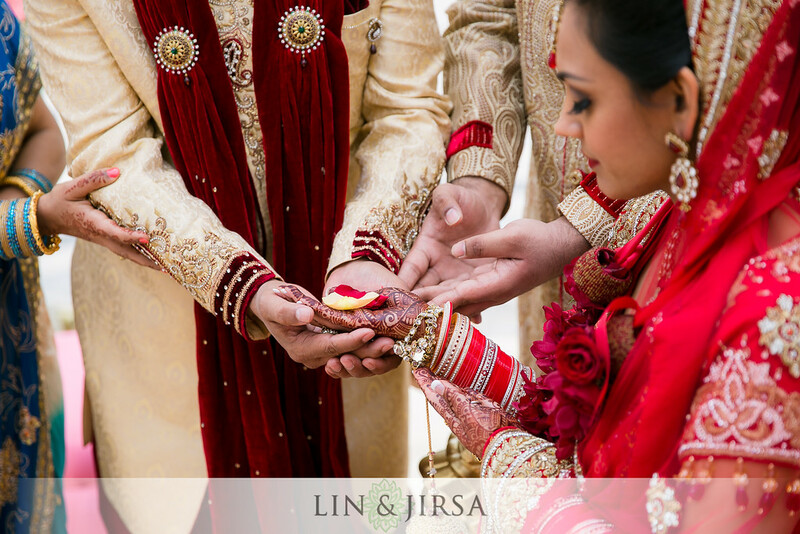 Kanyadaan, meaning “giving away the bride” in Sanskrit, is a symbolic marriage ritual for the Bride’s parents and the couple. The Father of the Bride take’s his daughters right hand and places it in the Groom’s right hand, requesting for him to accept his daughter as his equal partner. 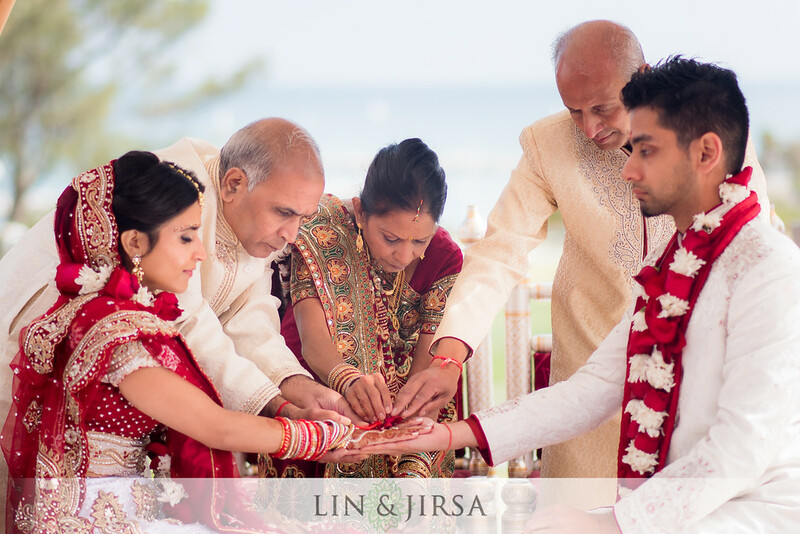 This ritual signifies both the acceptance of the Bride’s Father and his official approval to give his daughter away. 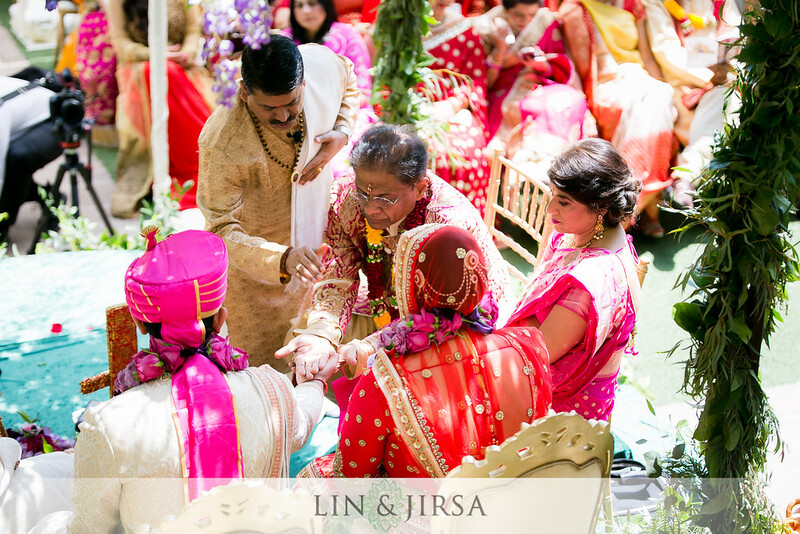 After joining the two hands, ‘Hastamelap’, the Mother of the Bride pours sacred water on to the palm of her husband’s hands, allowing it to flow through his fingers onto his daughters hand and ultimately to the groom’s hand as well. Rituals are chanted during this process and the curtain between the couple is lowered once Kanyadaan has been observed. 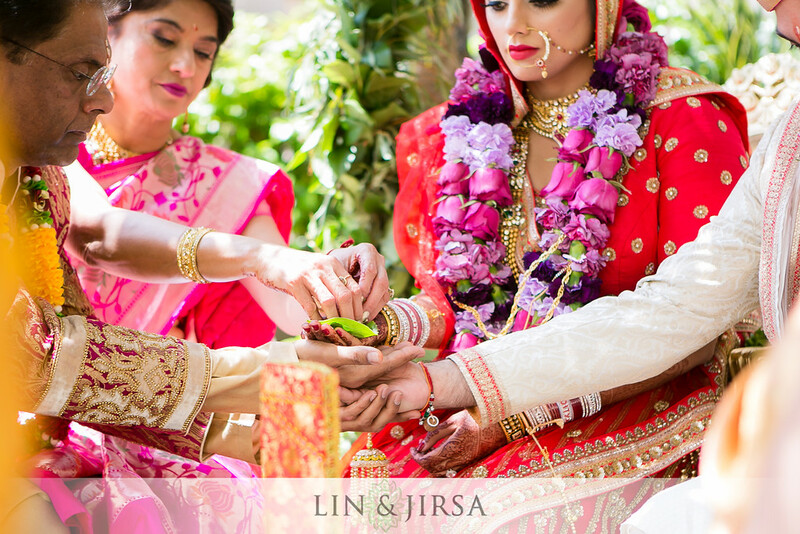 The Bride represents a form of the goddess Laxmi and the groom that of Lord Narayana. The parents are assisting in the union of the two ‘Gods’ while everyone bares witness. 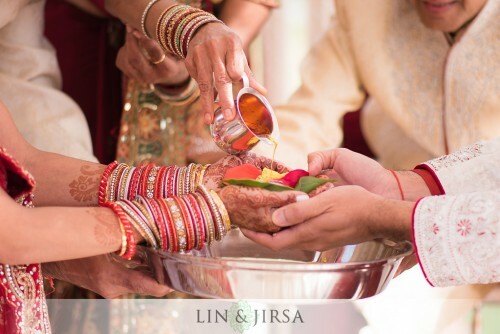 This Hindu wedding ritual is performed as a means of providing consent from the parents of the Bride before continuing on through the ceremony. It is said that Father of the Bride has to give away his most precious possession – his daughter – in order for the Bride to receive great prosperity and good fortune for her future. 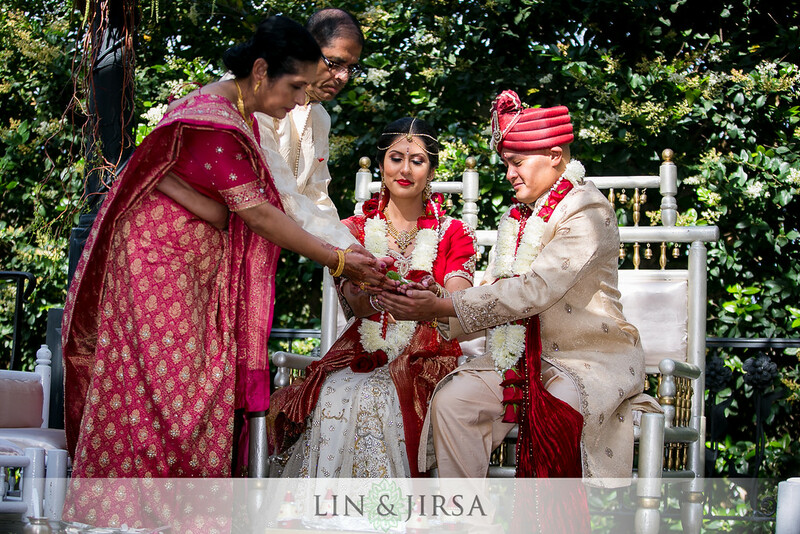 The groom’s sister ties the end of his scarf, to the bride’s sari with betel nuts, copper coins, and rice – symbolizing unity, prosperity, and happiness for the couple. The knot represents the eternal bond that comes with marriage.